31 maintenance records on the Carfax! 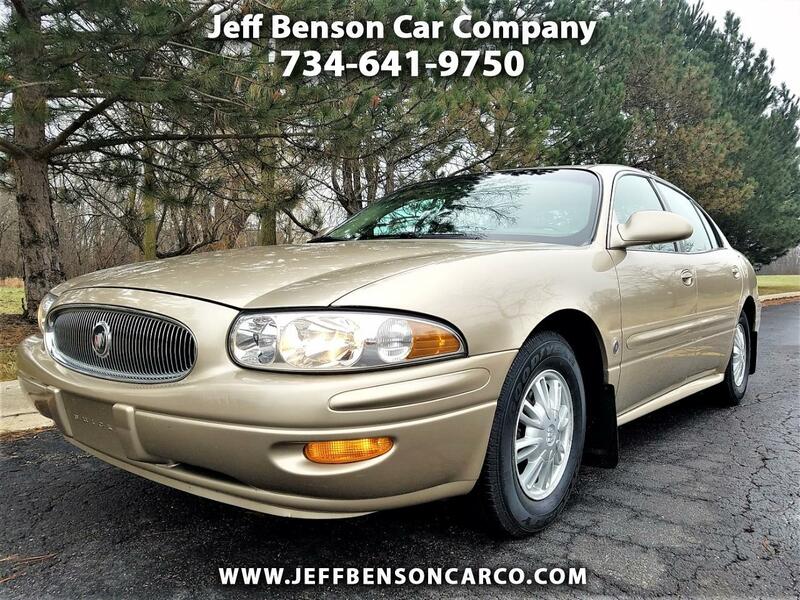 Here's a very clean and well maintained Buick LeSabre -- 31 service records on the Carfax! Powered by the legendary 3.8 liter 3800 V6! For full size reliability and comfort, you can't beat these, and the freeway fuel economy is up around 30mpg too. This one is a non-smoker's new car dealership trade in, gorgeous inside and all original outside. All maintenance is up to date, with a 55 point safety certification having been professionally completed; it is turn key ready for your immediate every day use and enjoyment. Questions? Call or text Jeff directly at 313-570-2645!